This course with a panel of national and international expert faculty will be in the form of didactic lectures, case discussion, live demonstration, video demonstration, panel discussion and hands-on training with the Cardiff Endotrainer. 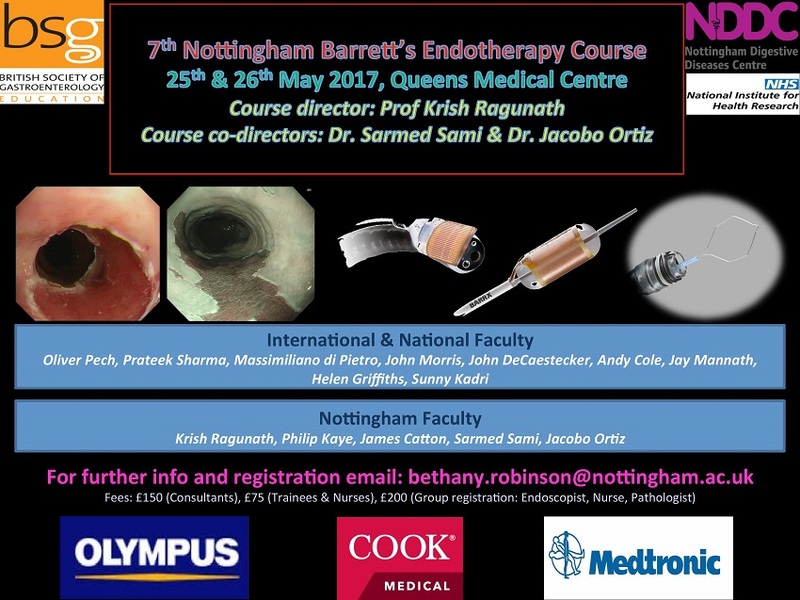 This course will be of benefit to Gastroenterologists, Gastrointestinal Surgeons, Pathologists, Nurses and Endoscopists with special interest in the management of Barrett’s early neoplasia. Understand the basics of endoscopic management of Barrett’s neoplasia. Identify and stage Barrett’s neoplasia accurately. Discuss and select patients who will benefit from endoscopic therapy. Apply appropriate techniques for endoscopic resection. Perform Radiofrequency ablation in an efficient manner. Learn tips and tricks to avoid complications.